Muhammad Ali is considered one of the greatest heavyweight boxers of all time. The charismatic Ali ranked No. 3 on ESPN's list of the greatest athletes of the 20th century behind Michael Jordan and Babe Ruth. Ali's speed, quickness and athleticism belied his training style. He was not known for his effort in training camp. Sparring is considered one of the most important aspects of training. Boxers will spar nearly every day in training camp as they prepare for a fight. Yet Ali never seemed to care much for sparring. He would get in the ring and box with his sparring partners, but he was not known for his effort. According to Ali's legendary trainer, Angelo Dundee, Ali would flash his skills for 10 to 15 seconds when sparring, but the rest of the time he did not appear interested. "Ali hasn't won a round in the gym since I've known him," Dundee told "Sports Illustrated" in 1980. "He's the worst gym fighter in the world. But he always showed me flashes: 10 seconds, 15 seconds." Ali may not have liked training, but he always did his running -- known in boxing as roadwork -- throughout his career. Ali would run 3 to 5 miles when training for a fight three or four times per week. Ali would back off from his running in the last week to 10 days before a fight, but he would get his running in during the 10 weeks prior to the bout. 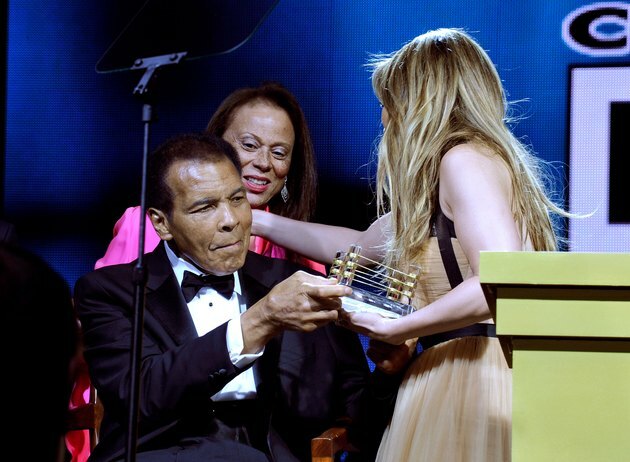 Ali was known for the quickness of his hands in the ring and, in particular, he had one of the best left jabs in heavyweight boxing history. He would put his quick hands on display throughout his training sessions when he hit the speed bag. While he hit the speed bag the way John Bonham of Led Zeppelin hit the drums, Ali was not one to hit the heavy bag with much passion. Most heavyweight fighters will hit the heavy bag for 15 to 20 minutes in each practice session, but Ali would usually not go more than five minutes. He often appeared bored when hitting the heavy bag and was not usually interested in that activity. Jumping rope is a frequent tool used by boxers to improve quickness and bring out natural athletic talent. Ali was among the best ever when it came to jumping rope, particularly among heavyweights. He knew how important an edge his quickness gave him over most opponents, and he would jump rope for eight to 10 minutes every training session and work up a significant sweat for the rest of his gym activities.